Look at the Pretty Pink Clouds! Just for a laugh, you understand. I am not actually that deluded. I know full-well that tragi-comedy is all we can expect from playing around with the drippy Urine Sticks of Confusion. I’ve detected LH surges during my period before now, Goddamn it! I can’t for the life of me figure out why I would still be peeing OAS at that point, but that’s what I appeared to write at the time; the time being September 2004. Adding breastfeeding hormones into my already-comically-underfunctioning hormonal stew will probably now give rise to some really fucked-up test results. I can’t wait. I’ve almost drawn the conclusion that I must simply enjoy peeing on things, and then staring intently at the results… a desire that you’d think I could easily gratify in any number of discreet locations, at a cost of considerably less than £19.99. Fun and games, ladies. Fun and games. Would those pretty pink clouds be a sort of wishful baby shape by any chance? Have fun with your sticks! 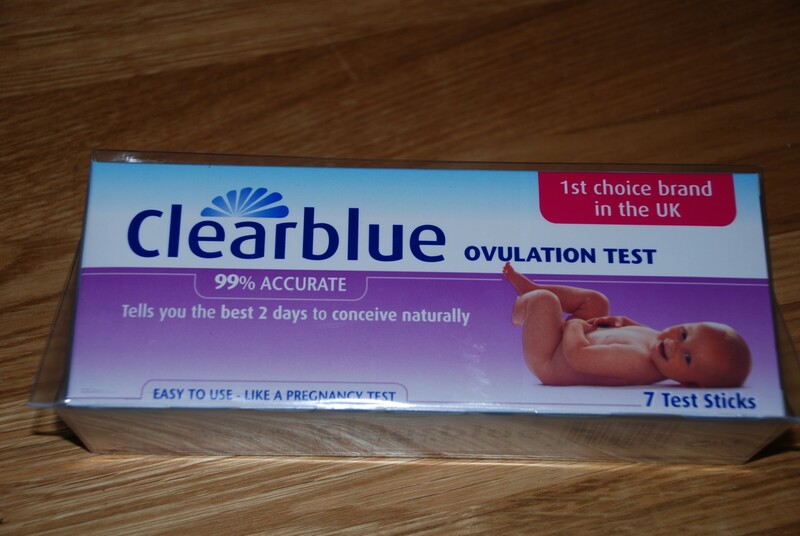 I have never used an ovulation test, and I’ll admit that some of that is due to the price. I mean seriously, you piss on these things – how are they so expensive? Sometimes a girl just has to pee on something, you know? Erm. Good luck with that – that’s an expensive hobby. Korechronicles is right, it’s an expensive hobby. There’s a great website where you can buy OPK’s and HPT’s at bulk prices. It saved me bucket loads of money. All parenting is driven by a healthy amount of willful insanity, right? So why not introduce some right at the very beginning? Best of luck in your tinkling.